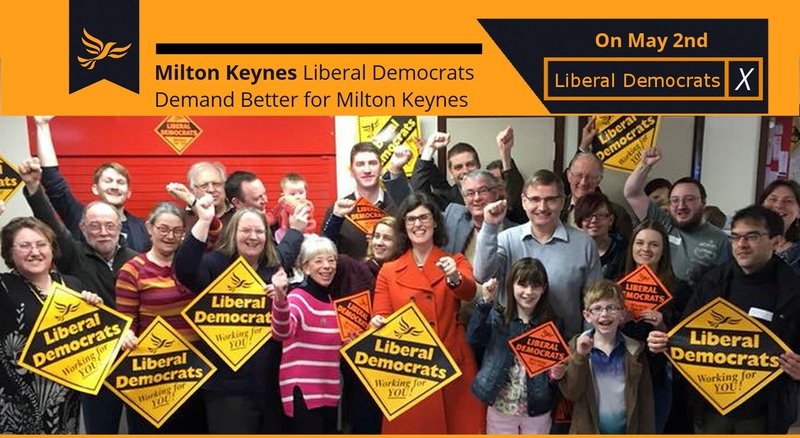 The MK Liberal Democrats have a candidate in every ward in Milton Keynes, so no matter where you are in Milton Keynes you’ll be able to vote Lib Dem on the 2nd May. In our more winnable wards this year half of our candidates are women, with almost a third of all of our candidates across Milton Keynes in 2019 being female. What has happened to Peter Cannon and Andy Reilly. They were so good. Never heard of the new man Portilho. With local elections coming up, where is the party, where is the news sheets? Peter and Andy are still in Shenley Brook End and working away! This year it is a Tory defending the seat, so we’re hoping that Thais will be elected to work alongside Peter and Andy. The Focus newsletter should be coming to every house in the ward, and you should have received several this year already. Can you email your address to [email protected] and I’ll ask the team to check why you’ve not been receiving a copy and make sure they do get through to you. Why Lib Dems are so invisible this May elections? No information whatsoever about the candidates or policies. Would have been such a good result for Lib Dems if more proactive in this political situation we found ourselves. Where do you live in MK? While we have candidates across MK and when our councillors are elected they do work to look after all of MK. However because of the First Past the Post electoral system if we fight everywhere we will lose more marginal wards. It is unfair as a lot of people end up not being as represented as they should be, since parties are forced to fight in more marginal wards. So yes, we agree that it is unfair that the system we have for elections means that not all parties fight hard across the whole of MK, however we do feel we are worth voting for across the whole of MK, and we’ll keep supporting campaigns to make sure everyone can vote they way they wish to and not have to try to play the system.